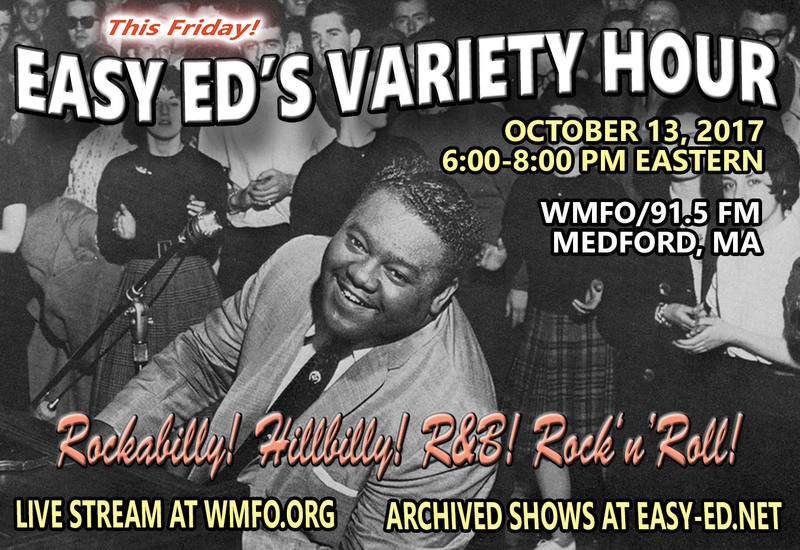 If you missed last night's show you can find the (always free) archive MP3 right here. If you enjoy the show, let us know! Requests for future shows are always welcome. 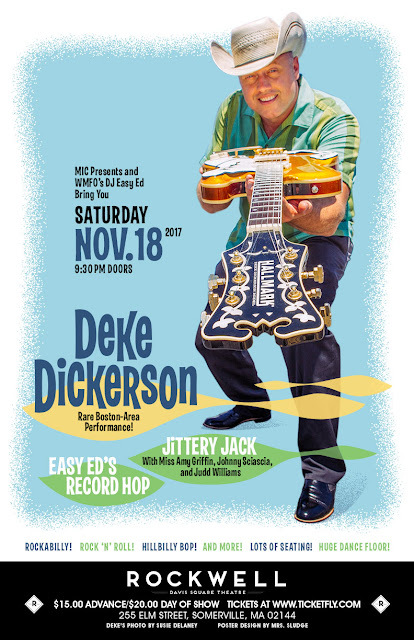 Deke will be back for a rare East Coast show at the Rockwell in Somerville, MA. This is an exclusive event, not a tour. Jittery Jack and Easy Ed's Record Hop are also on the bill. The Rockwell is a 200-capacity room, so advance tickets are highly recommended. Click here for ticket information and additional info. 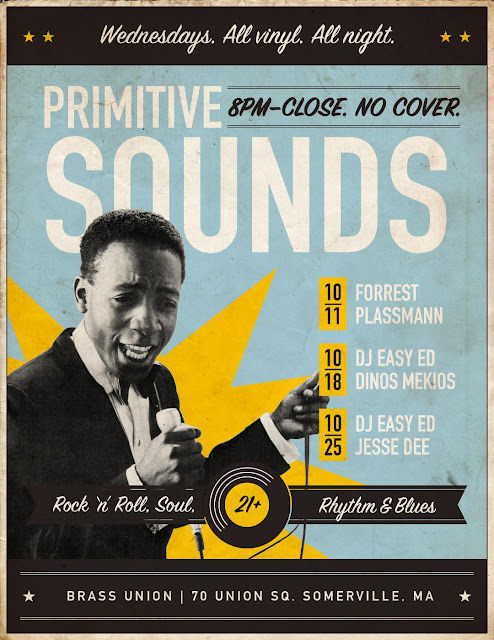 Here's our Primitive Sounds DJ Schedule for October. Stop by Brass Union on October 18. 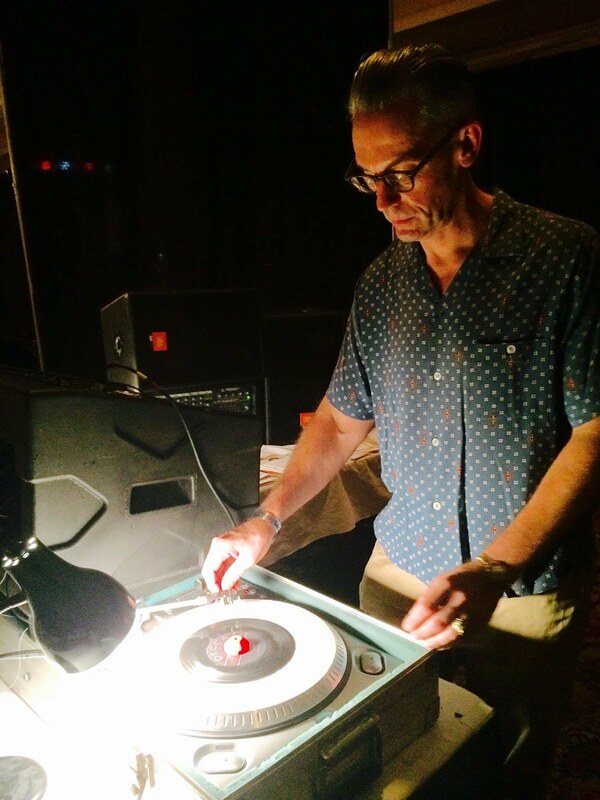 I'll be spinning records with Dinos Mekios, host of the Record Hospital on WHRB in Cambridge. Brass Union--70 Union Square, Somerville, MA--two doors down from The Independent. Flier design by Forrest Plassmann. Here's What We Played on Last Night's Show! The Dave and Deke Combo “Lookin' for Money” from There's Nothing Like an Old Hillbilly on Bucket-Lid Records —See Deke, Jittery Jack, and Easy Ed’s Record Hop 11/18 at the Rockwell in Somerville November 18. The Fathoms “Koolerator” from Fathomless on Musick Recordings — Deluxe reissue of the classic LP with bonus tracks.